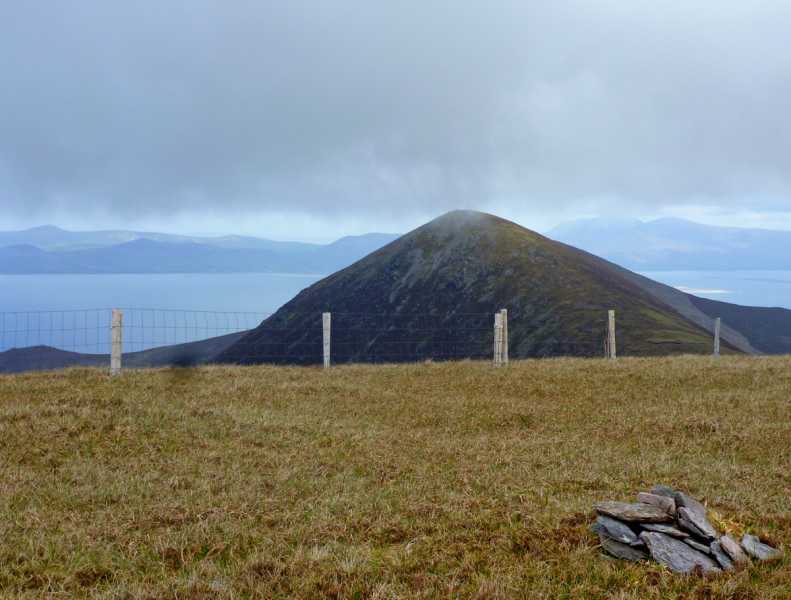 Picture from simon3 : Dingle tapers into the sea. 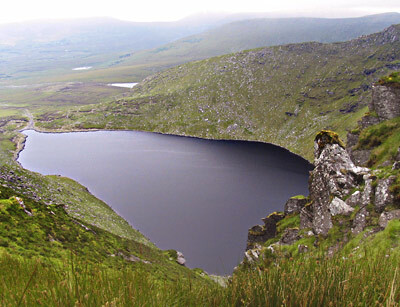 Picture: Dingle tapers into the sea. This is a great vantage point for summer sunsets, but as always we are at the mercy of opportunity. The view West includes the black convex silhouette of Kells Mtn East Top, illustrating why its lower northern slopes are difficult to descend. Beyond Dingle Bay and right of the picture is Slea Head, the end of the Dingle mainland. 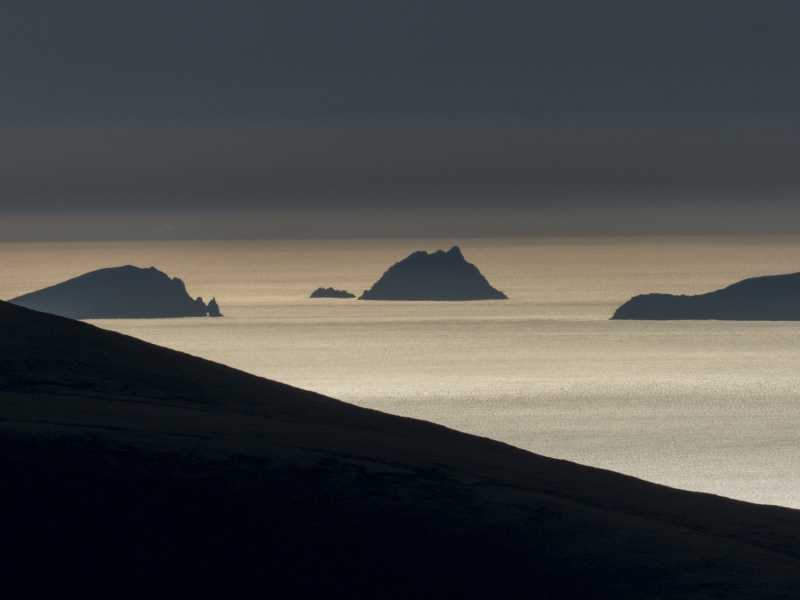 Stretching left in the haze are the Great Blasket Island, Tearaght and Inishnabro. A veil of cloud hides the mysteries of Inishvickillane, so much easier to reach if you own a helicopter company. Picture from simon3 : Coomnacronia from the cliff edge. Picture: Coomnacronia from the cliff edge.